Appigo has updated both the iPhone and iPad versions of its Todo task manager, adding secure passcode locking as well as support for a new cloud synchronization service for tasks. The version 4.0 update for the iPhone and iPod touch also adds full support for Apple’s iOS 4, which includes high-resolution graphics, background multitasking, and localized reminders of your to-dos. Todo 4.0 for both the iPhone and iPad arrived on the App Store Tuesday. Both mobile versions of Todo now feature passcode locking. Users can enter a four-digit code that prevents anyone else from seeing their task data. In addition, the iPhone and iPad versions of Todo let users add multiple reminders for tasks; each reminder can be customized for specific times. Users who want to sync up tasks between their assorted mobile devices and their desktop have a new cloud-based service that they can use. Todo Online is a $20-a-year subscription service that offers synchronization over both 3G and Wi-Fi as well as access via a Web browser. Appigo is offering users a chance to try out the service for free in a 14-day trial. It’s the iPhone and iPod touch version of Todo that probably sees the most substantive changes with the 4.0 update. That version offers full support for the iOS 4 update released by Apple this summer. Leading the iOS 4-friendly changes is multitasking support—now, users syncing tasks can jump to another application, and Todo finishes the synchronization in the background. Todo already supported push notifications, but the 4.0 version adds support for local notifications on the iPhone and iPod touch. That allows the app to continuously keep the badge count on the iPhone home screen updated with the number of tasks due according to the current time. Appigo also says that the 4.0 version of Todo on the iPhone supports better graphics to take advantage of the iPhone 4’s Retina display technology. iPad users shouldn’t feel left out in the cold. 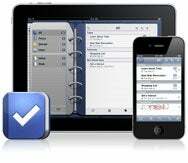 Once Apple releases the iOS 4.2 update in November, Appigo plans a subsequent update to the iPad version of Todo that will incorporate full support for iOS 4. Todo 4.0 is available as a free update to both iPhone and iPad users. The app costs $5 on either device. While Todo will grab the headlines, it’s not the only app to get an update from Appigo on Tuesday. 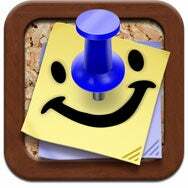 The app maker also rolled out a new version of Corkulous, its $5 brainstorming and idea organizer for the iPad. Corkulous 1.6 adds a board-sharing feature that lets users share ideas via e-mail. With board sharing, users can either select an entire board, just the current view, or a selection of items before mailing their selection as an e-mail attachment. Recipients can tap the attachment to import the board into Corkulous. Appigo says that users can also make shared boards available for download via the mobile version of Safari on the iPad by placing them on any standard Website. The latest version of Corkulous also features board templates to allow users to turn to the same designs over and over again. The update is free to existing users; Corkulous says it plans to raise the price of Corkulous from its current $5 as it adds more features to the iPad brainstorming app.